At the moment, there’s little shade from the elements (sun or rain) in all the main parks. In the few covered areas, there’s no proper ventilation (fans/AC) besides those in the restaurant, cafes and theatres. 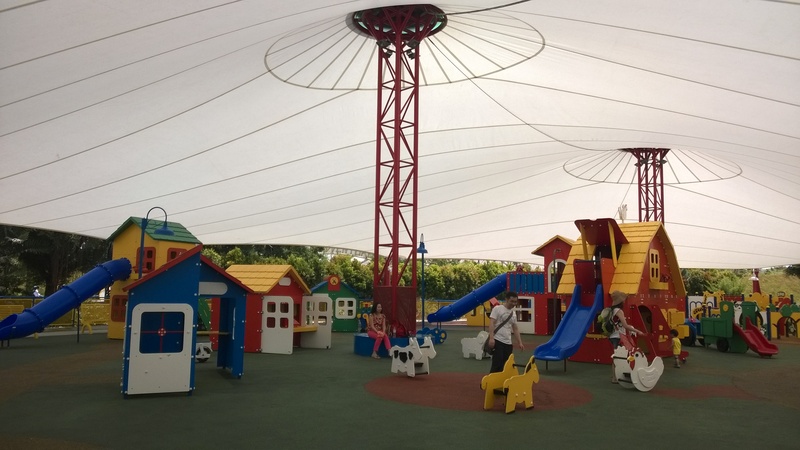 There’s also no shuttle bus, train or buggy system that enables you to hop on-and-off at the various parks within LEGOLAND, so quite a challenge for the very young (or very old). 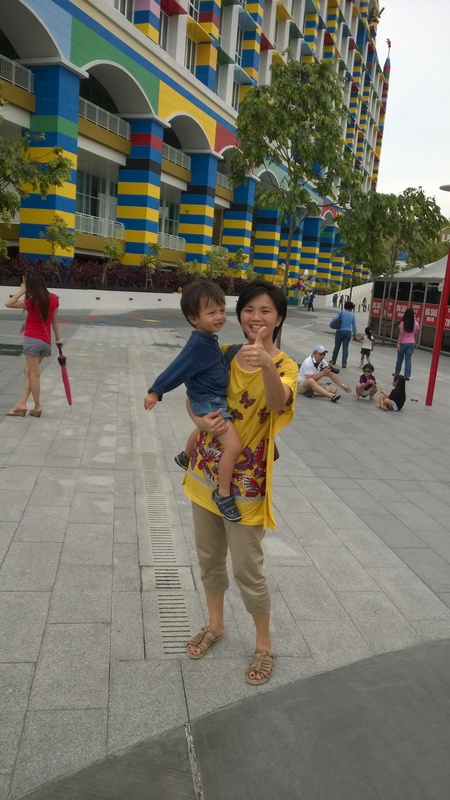 We visited because we were already going to Puteri Harbour the day before, and our friends with older kids wanted to check LEGOLAND out. 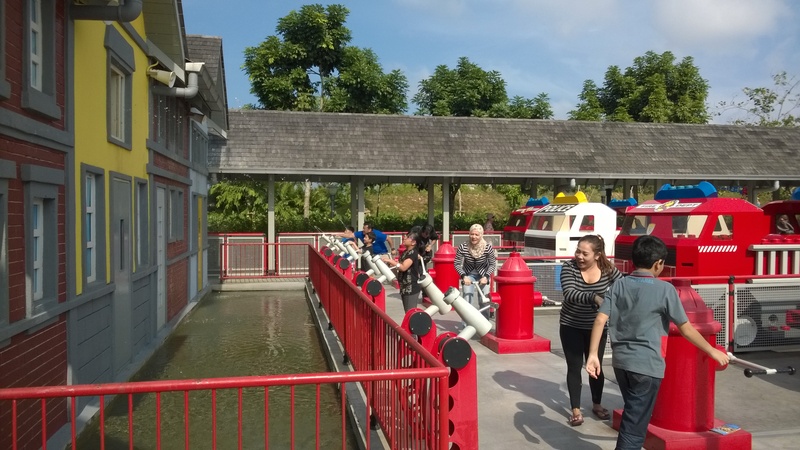 Unfortunately for us, it was an extremely hot and humid day when we were there. 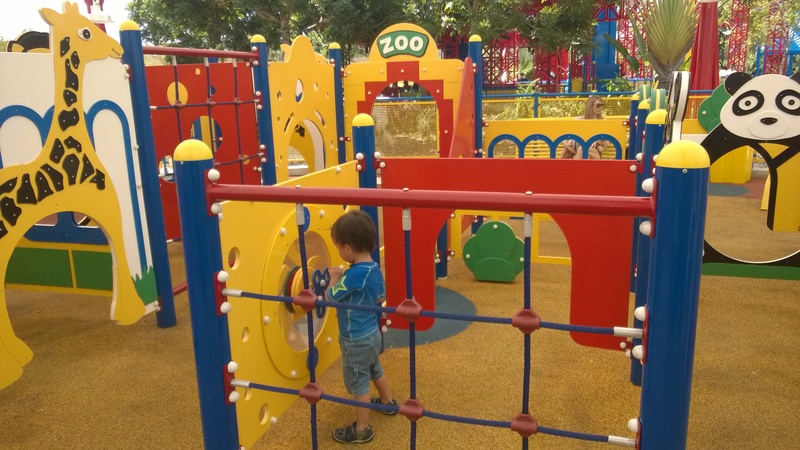 My 2+ year old was wiped out despite a 2.5 hour nap after lunch, refused to go out again in the hot sun so we had a free and easy afternoon, before entering again later. Bottom line: When deciding, the weather and your tot’s the boss! If you cannot tahan outdoors or crowds, DON’T GO! 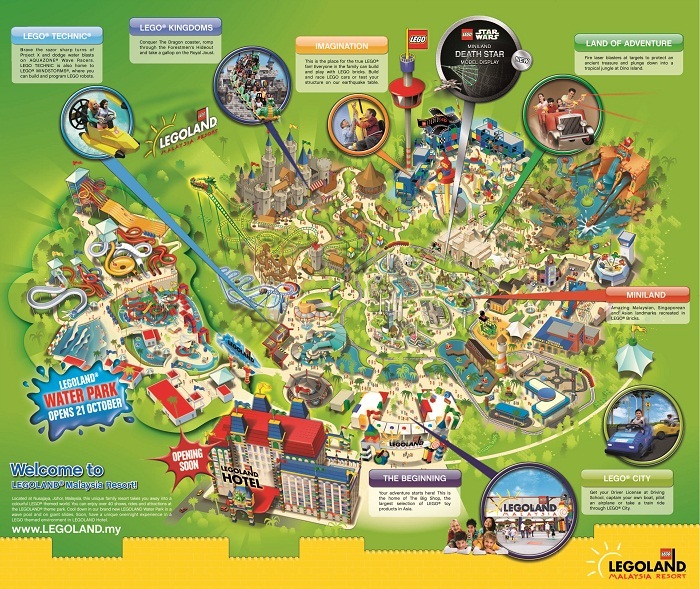 As the Iskandar area is still under development, the nearest hotel options are LEGOLAND or Traders Hotel (Puteri Harbour). 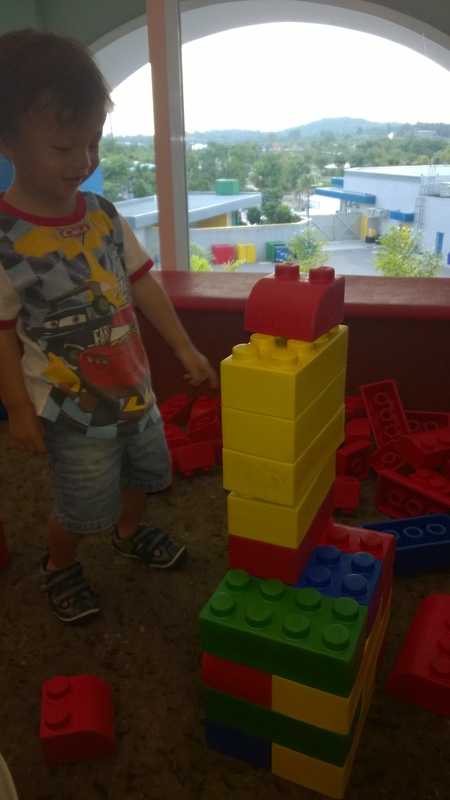 We stayed at LEGOLAND hotel for the unique experience with its distinct play areas and thematic rooms. 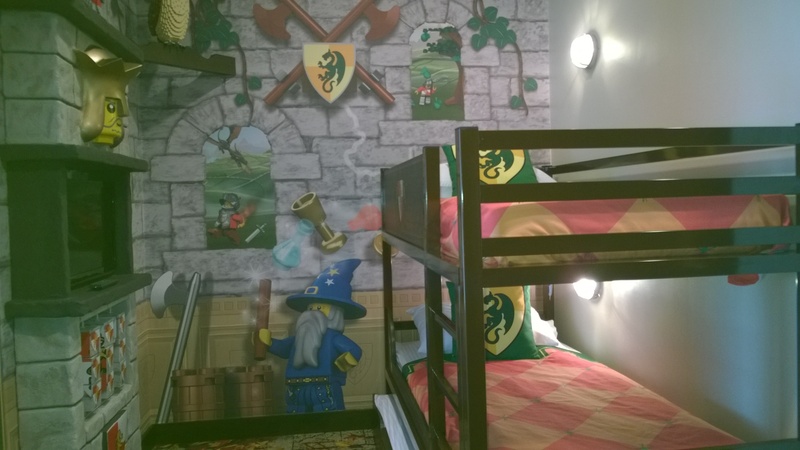 Basic rooms accommodate 2 adults + 3 kids with a king bed (master room), a bunk bed and trundle bed (attached suite). 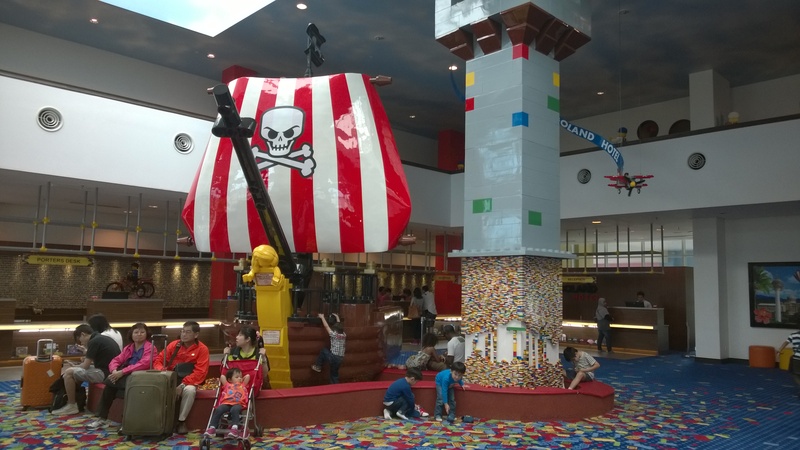 The hotel is also right next to LEGOLAND and the Medini strip mall which has slightly better food. 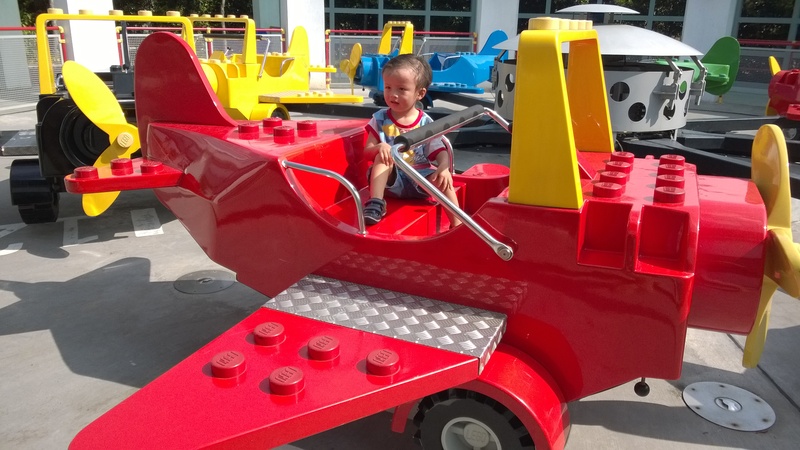 All hotel guests get free parking and early 930a entrance to LEGOLAND (vs 10a public admission). 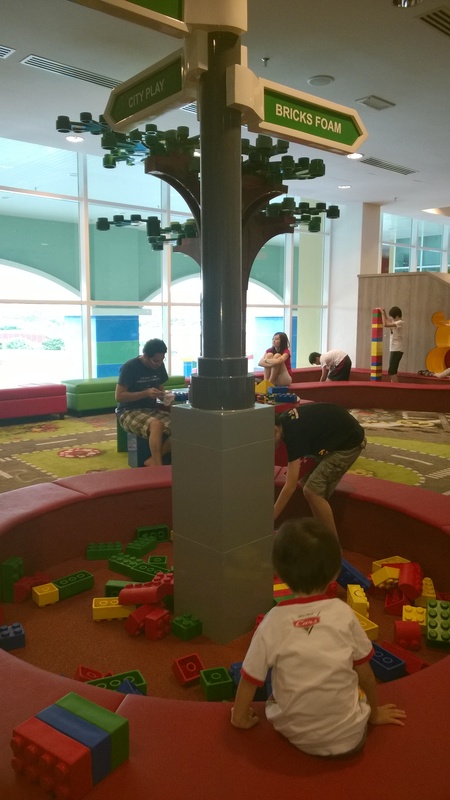 While overall family friendly, I felt a few things could be improved: Earlier than 4p check-in, later than 11a check-out, lower shower heads (or longer hose) as it was hard to clean shorter/young kids.